Damon City Campus, Monroe Community College. Emeterio M. Otero started his career at Rochester’s Monroe Community College (MCC) in 1982. During his 29-year tenure, he has served as assistant director of admissions, assistant dean of admissions and dean of students. At the Damon City Campus, Otero is currently the Executive Dean. 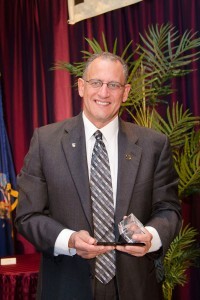 Otero’s responsibilities include planning and initiating organizational, operational and academic functions of the campus; serving as the President’s liaison with external constituencies; coordinating college goals and strategic planning initiatives as they relate to the campus; and working collaboratively with Academic and Student Services, to create a culture of innovation and a focus on student success. Otero possesses a Ph.D. in Higher Education from SUNY Buffalo. He also earned a master’s degree in counselor education from the SUNY College at Brockport and a bachelor’s degree in psychology and Spanish from St. John Fisher College. Treasurer, Action for a Better Community, Inc.
Otero has also served as chairperson, Board of Directors of the Ibero-American Action League, Inc.; president of the Board of Trustees of the Rochester Public Library; chairperson of the Rochester City School District’s Hispanic Studies Steering Committee; chairperson of the United Way’s Latino Leadership Development Program and as a scoutmaster for a Latino Boy Scout troop. Otero has also served as a member of the Rochester City School District Blue Ribbon Task Force to assess the District’s financial practices. He has also served as a Board of Trustees member for the Eugenio Maria de Hostas Charter School. In the communications arena, Otero has hosted and produced the former WROC-TV 8 public affairs program, Revista, which addressed Latino affairs in Rochester. Born in Cataño, Puerto Rico, Otero immigrated to the United States with his parents when he was three years old. He was raised along with his four brothers and two sisters on Buffalo’s West Side. His commitment to volunteerism developed during his childhood as he watched his father help other Puerto Ricans relocate to Buffalo when the Puerto Rican community there consisted of just a few dozen families. At 17, Otero dropped out of high school and enlisted in the U. S. Army. During his three years of military service he completed a tour in the Panama Canal Zone and earned a GED. After the Army, Otero returned to Buffalo where he worked in the mills at the Bethlehem Steel Corporation. In 1968, he moved to Rochester, and worked on the production line at Bausch & Lomb. Otero quickly became involved with community affairs. He became a community representative on the Model Cities Program. He worked as a volunteer at the Lewis Street Center and at Mt. Carmel Church. In 1970 he became a counselor/recruiter for the Cooperative College Center, the Educational Opportunity Center’s predecessor.